The Cisco Small Business IP Phones are full-featured VoIP phones that provide voice communication over an IP network. 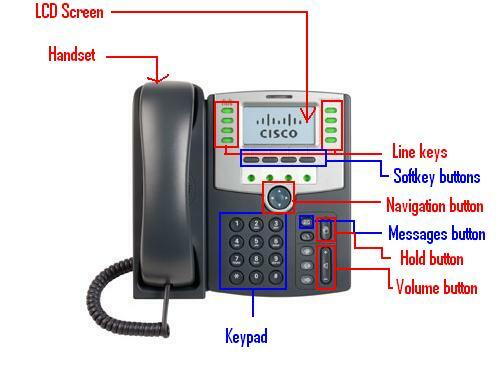 It is a device that provides normal telephony functionality, like call forwarding, redialing, speed dialing, transferring calls, conference calling and accessing voice mail ,placing and receiving calls, but uses an IP network connection for connectivity instead of a traditional phone network. Red (steady): Line is active or in use. Red (blinking) : Line is on hold. Orange: Line is unregistered (cannot be used). the label on the LCD screen above. on, the button glows green. cfwd forwards all calls coming to your phone to a specified number. dnd Do Not Disturb; prevents incoming calls from ringing your phone. ignore Ignores an incoming call. lcr Dials the Last Call Received. redial Displays a list of recently dialed numbers. unpark Resumes a parked call. xfer Performs a call transfer. 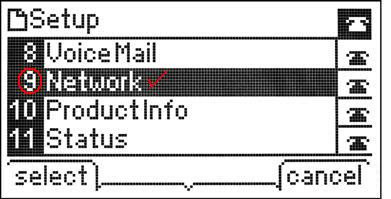 xferLx Transfers an active line on the phone to a called number. phold Puts a call on hold on an active shared line. activ Activates screen saver mode. Connect your IP Phone to the corporate IP telephony network. Your phone will share a network connection with your computer. -Network Port : Use the network port to connect the phone to the network. You must use a straight-through cable on this port. 3-Connect the handset and headset to their respective ports.